Two perfectly serviceable Boeing 747s crashed into each other on the runway killing 583 people in 1977. In another incident, the pilots shut down the wrong engine, and 47 people were killed when the aircraft crashed... But what has that got to do with diving? In 1977, two Boeing 747s were on the runway at Los Rodeos Airport, Tenerife. The plane from KLM was lined up, ready to take off, while the plane from Pan-Am was taxiing down the runway towards the first, to exit, turn around and await the former’s departure. However, there was thick fog, and neither crew could see each other. At 17:06 hrs, the captain of the KLM aircraft, the most senior captain in KLM at the time, decided that they had clearance to take off in the thick fog. The first officer and engineer were not sure about it but were unable to speak up because of social pressures. As they accelerated down the runway, they collided with the Pan-Am jet and 583 people were killed. There were 61 survivors, all from the Pan-Am aircraft. There was nothing technically wrong with either aircraft. In 1972, Flight 401 was making a late-night approach to Miami International Airport, and as the crew were completing their pre-landing checks, they noticed the gear didn’t indicate “down and locked”. They entered into a holding pattern and engaged the autopilot to resolve the issue. Both pilots and the flight engineer were then task-fixated in trying to determine if the fault was a blown bulb or a landing gear problem. Neither noticed the plane's slow descent, which had commenced due to an incorrect autopilot selection. As they started another 180-degree turn, the captain noticed that something wasn’t right and questioned the co-pilot in a noncommittal manner. Less than 10 seconds later, they impacted the ground—less than half the time it took you to read this paragraph! Ninety-seven of the 163 passengers died. There was nothing technically wrong with the aircraft other than a blown bulb in the cockpit. In 1989, a British Airways 737 crashed into an embankment on the M1 just short of East Midlands Airport. This was because the pilots had shut down the right engine due to task loading, cognitive biases, and poor training on the new 737 they were flying. The failure in the left engine was manageable as the aircraft was certified to fly on one engine at the heaviest weights. This time, 47 died and 74 were injured. These crashes in the aviation world were seminal events, highlighting that the engineering teams and aircraft manufacturers were making very high quality products and the failure points were primarily down to the human interaction with the system. Furthermore, providing more technical training (pure flying skills) was unlikely to make a difference. As such, the evolution of crew resource management (CRM) started as cockpit resource management, initially focussing on the pilots, as they were “the last to touch the controls, therefore it must be their fault”. However, it was soon realised that the whole crew, including the cabin staff, needed to be involved, so it was renamed "crew resource management". CRM is now in its fifth generation, having been in place for four decades, and anyone who is involved in air operations must undergo some form of CRM training to remain certified, in line with the regulatory bodies. The training is not just a single course, but is part of every simulator exercise and flight they operate, with ground-based staff and maintenance engineers all having to undertake refresher courses. The world of healthcare recognised, along with other domains such as Oil and Gas, that they were suffering from adverse events despite highly skilled and qualified professionals being involved. This led to the development of Non-Technical Skills (NTS or NOTECHS) research programmes which produced behavioural markers covering areas of decision-making, situational awareness, communications, leadership and followership, teamwork and the effects of stress and fatigue—the same areas that CRM covers. How many accidents or incidents are actually down to the equipment technically failing in an undetected or uncontrollable manner? From my own research and that contained within the literature, the answer is "very few", considering the hundreds of thousands or millions of dives which take place every year. The common factor is the “human” one. 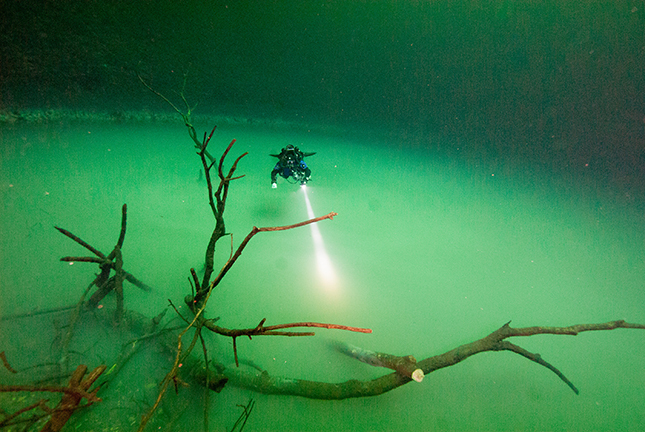 However, it is easy to use the phrases “diver error”, “the diver should have…”, “why didn’t the diver…” or make use of the well-trodden “75 to 80 percent of all accidents are down to human error”, but there are issues with this frame of reference. There are three major pieces of work that I can think of that have had a major impact on the non-technical aspects of diving. These are Shek Exley’s Blueprint for Survival (1986), Michael Menduno's and Billy Dean’s Blueprint for Survival 2.0 in aquaCORPS (June 1993) and the creation of the Technical Diver 1 and Cave Diver 1 classes by Global Underwater Explorers. 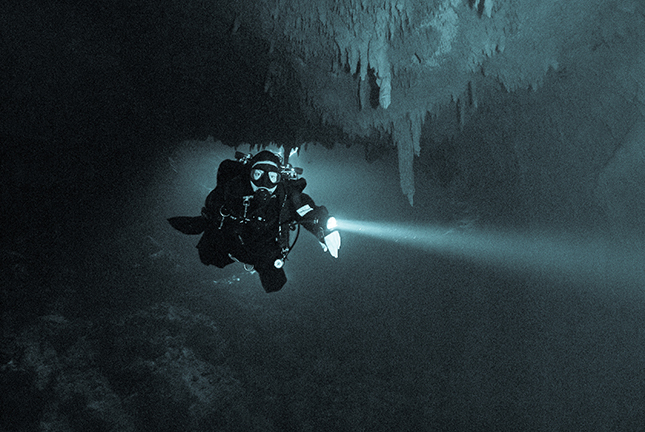 The first two considered what went wrong in cave diving and technical diving respectively and provided “rules” for safe diving. 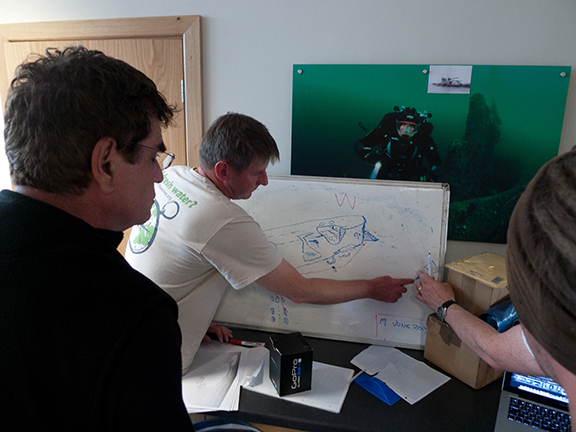 These were determined by looking at cave diving and technical diving accidents, and worked out what should be done. Yes, there were still equipment and training needs, but there was a deliberate focus and consideration on teamwork, communication and attitude. The latter might be somewhat biased, but Global Underwater Explorers was the first agency to really hammer home the need to develop effective teamwork and problem-solving in their early courses, and use video and reflective debriefing techniques consistently across ALL their instructors. 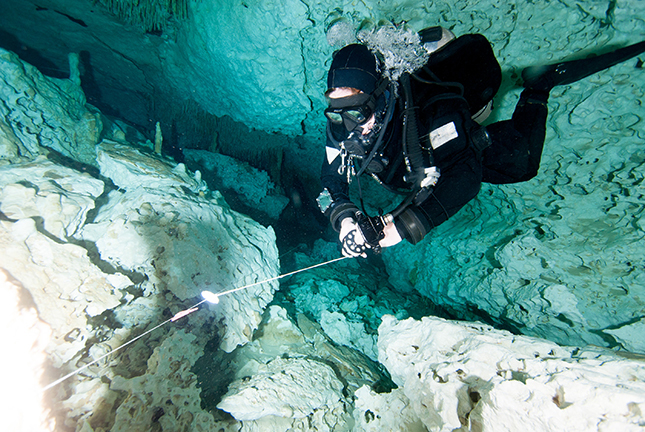 However, these pieces of work are not known by a significant number of divers; indeed, probably only those interested in cave diving are aware of them. I am a Crew Resource Manage­ment instructor, and the diagram which I use in my CRM and NTS training and coaching classes highlights the key information flows and shows why non-technical skills are so important for anyone involved in high risk or reliability operations. While some will argue that not all diving is high risk (as it depends on the type of diving), ultimately, divers are in an environment that cannot sustain life without external technical support; and failure of that support, for whatever reason, may—or will—end in death. The flow is that ultimately we all want to make good decisions, but we can’t consistently and intentionally do that if we don’t have good situational awareness. Situational awareness is noticing (not just seeing) what is going on around you, thinking about what it means and anticipating what might happen in the future so you can actively plan your actions accordingly. (The ability to play the “what if?” game regularly and be creative about potential failures). 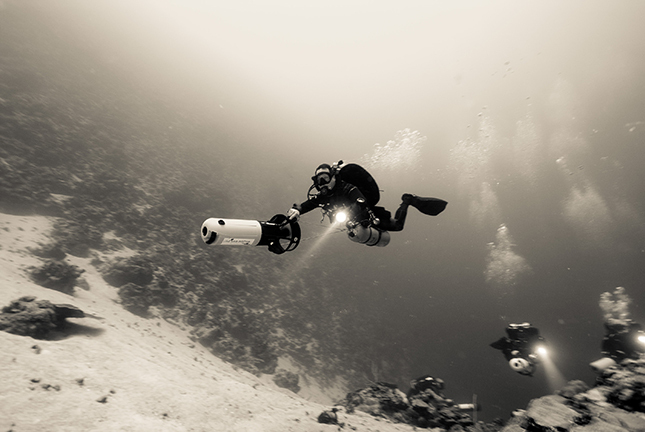 While good situational awareness requires experience to be able to project into the future, it can really be helped by good communication with the rest of the dive team (skipper, instructor, divemaster, buddy and others) to help understand the plan or the baseline and then spot deviations. If you don’t know the plan, how do you know you’ve deviated? Having good communications skills also provides the ability to be assertive when needed and speak up when something is not right. Good communication is assisted by good leadership (who is the “dive leader” or #1) and good followership (being a good buddy, supporting the “leader” and questioning when things are not right or need clarification). When everyone works together with a coherent understanding of the common, achievable goal, we have effective teamwork, which helps support the communications process, and ultimately, good decision-making. However, we must recognise that these factors are all shaped or influenced by stress and fatigue—when we are tired, we are more likely to make bad decisions, be curt with our communications or not necessarily act as a good team member. You might think that such skills are not needed in a recreational environment, partly because it is a fun activity, but also because there are no social or organisational structures present to require such skills. If you think this, consider all of the accidents and incidents that you know of and think through what the contributory factors were. How many of them could have been prevented by having (effective) non-technical skills, a clearly communicated plan before getting in the water, making and executing sound decisions when changes happened, noticing how things were changing, but no one wanted to (or could) say anything? Is it any wonder that “human factors” and “human error” rank so highly when it comes to diving incidents or accidents if non-technical skills are not taught? With this in mind, I have developed a two-day training course that consists of theory, practical exercises and computer-based simulation, and lessons identified and learned using facilitated reflective debriefs. The benefit of this structure is that students are all operating in a new environment (the simulation is space-based) and therefore existing technical skills cannot be used to bolster non-technical skills which are required in this dynamic and uncertain environment. The scenarios have been developed to introduce uncertainty within a time-bound environment in which there are multiple choices open to the operators. In addition, as the instructor is able to introduce additional tasks, already well-developed teams can be stretched, in terms of capability.